Recreational Vehicles Nat Gen | Special Feature | RLI - Agent Portal | Webinars | TRIVIA! Quote and bind in less than four minutes! A comprehensive cyber liability policy and free cybersecurity tools for policyholders. Your cyber market solution! Exterior: The most frequently encountered issue with RV's in storage is water leaks. Inspect all the caulking to be sure it is not cracked or missing. This includes caulking around windows, doors, all roof vents and seams. Even the smallest crack will allow water to intrude, Wash the unit using proper cleaners so the surface is not damaged. Pay particular attention to the awning. Interior: Give the interior a quick dusting and vacuum, checking all around inside for areas that may need cleaned. Tires: Inspect tires for cracks on the sidewall and between treads. Replace tires if cracks are noted to avoid any blowouts while on the road. Check tire pressure per manufacturer recommended tire pressure which is located on a decal inside of your cabinet. Appliances: Remove the outside access covers for the water heater and refrigerator. Inspect the burner assembly for any foreign debris such as spider webs and nests. Light air pressure from a compressor can be used to clean the burner area (do not blow high pressure up the refrigerator chimney). Clean corroded terminals, connections, and battery trays using hot water and baking soda. Check battery fluid levels where practical. Be careful with wiring if removing the batteries as positive and negative wires are not color coded often (use masking tape and a sharpie to flag). Remember that improper battery connections will lead to mass component failure. The goal here is to check batteries for fluid. Top fluid levels off with distilled water but pay attention as you don't want to overfill. Keep the level below the upper case fill ring. Have a professional complete a load test. Batteries must be fully charged before the test otherwise they will fail the load test. If the professional testing the battery does not check the state of charge, go elsewhere as the vendor is likely pushing to sell new batteries. If battery replacement is required always replace multiple battery banks together. Do not add an old battery to a new battery. LP: Make sure the L.P. components turned off before proceeding forward. Turn the leak detector inside the RV on first and open the valve on the tank all the way. Smell around the area for leaks (can also use an electronic leak detector), using soapy water to check for leaks around the valve and regulator. If a leak is detected turn off the L.P. valve immediately and consult with a professional to repair the leak. Please note that sometimes seals dry out over the winter causing new leaks. Last but certainly not least, absolutely no smoking/flames/sparks while completing this step. Water: The hot water heater bypass valve needs to be in the "normal" position and all faucets need to be closed prior to filling with water. Open a hot and cold water faucet during filling to allow the air to escape until the water flows steady. Inspect faucets, water heater over pressure safety valve, and the water heater drain plug for leaks. Test fire appliances: With the L.P. gas leak detector on, start by lighting a stove top burner. This is the easiest flame to see, so you will know when it ignites and the air in the lines is purged. Light the other L.P. fired items, making sure the water heater is full before igniting. Generator: Some newer generators have a prime function to run the fuel pump prior to starting. Hold the start-stop switch in the stop position, one the light in the switch is illuminated run the pump for about 20 seconds to deliver fuel to the carburetor. If the generator does not have a prime feature, you will have to crank it until it starts. Let the starter rest to cool after about 15 seconds of cranking. Cycle the starter until it runs. Let it run for a short time and check the oil level. Check the air filter to rule out any critters nesting from storage. Check the owner's manual for any other procedures. Dump Hoses: Inspect the sewage dump hose. Dump hoses have a limited shelf life. Verify that the hose is in good condition with no tears or holes. Waste tank valves: Run the waste tank valves while connected to a dump station. Valve seals can dry out making the valves difficult to operate. Slowly working the handle in and out in short increments may save replacing the valves. There are also additives for valve lubrication that can be added to the tanks. Awnings: Simply operate awnings and inspect fabric. The spring tension may need to be adjusted if you have difficulty extending the awning. Spring adjustment is dangerous and we would highly recommend hiring a professional to address issues. Water Heater: Remove the drain plug at the bottom of the tank and allow any sediment to escape with the water. Some models also have an anode rod that is part of the drain plug. With the tank drained check the anode for deterioration and rule out replacement. Inspect the rod and replace it if it is more than 75 percent depleted. Refer to the water heater's instruction manual for replacement details. Reinstall the drain plug and refill the tank before lighting the burner. Freshwater Tanks: Should be sanitized by filling the water tank half full. Add a solution of 1/4-cup household bleach and 1 gallon of water for every 15 gallons of tank capacity. Open all the faucets until all air has been bled from the system and the water coming out has the odor of the bleach solution before shutting off the taps. After three to five hours, drain the water system and refill it with fresh water. Run water through all faucets and then drain the system again. Radiator: Hoses to be replaced about every five years. Although they may look fine from the outside, many times they deteriorate inside first. They can then burst without warning and you fail to notice the temperature gauge, severe engine damage may result. Summer is just around the corner. Taking the time to inspect and prep your RV can help you find items that need maintenance or repair and prevent breakdowns while in the middle of traveling. 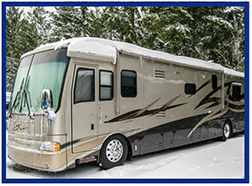 It is best practice to de-winterize your coach and get it ready for upcoming trips by inspecting the entire camper for any damage, address maintenance needed, and cleaning. It is better to find any problems with the RV camper during the spring checkup than when setting up hundreds of miles away from home. Access a maintenance checklist here; feel free to share it with your clients. Recreational Vehicle - Personal coverage is available on Big "I" Markets for most recreational vehicles, including motorhomes, fifth wheels, mounted truck campers and more. Coverage available as new business in Alabama, Arizona, California, Florida, Illinois, Iowa, Kansas, Louisiana, Maryland, Montana, Nebraska, New York, North Carolina, North Dakota, Ohio, Oklahoma, South Carolina, South Dakota, Tennessee, Texas, Virginia, Washington, Wisconsin, and Wyoming. Why does your agency need a call answering service when you can just use voicemail? The Big "I" has endorsed Insure Response as its preferred agency call answering center. Big “I” members now enjoy deeply discounted rates on packages, $200 off their one-time set-up fee ($450 $250) and over $150 off their monthly minimum fee ($250 $99)! Need licensed agents in the USA to answer new and existing client phone calls 24/7, after hours, or when you're busy? 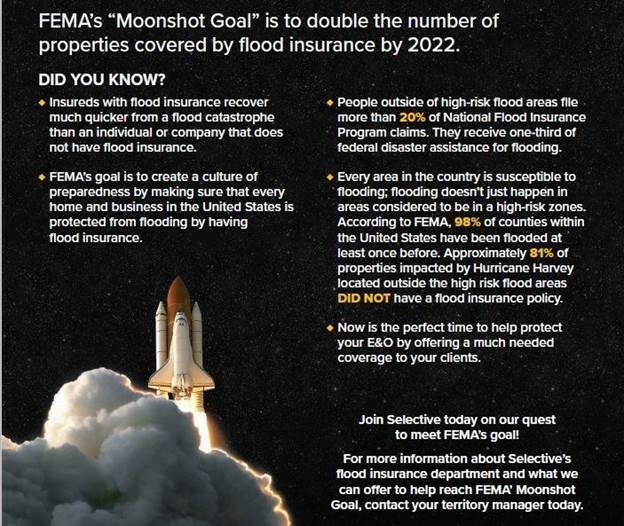 Insure Response can answer the calls you've been missing like an in-house CSR. "Why does my agency need a call answering service when I can just use voicemail?" In a recent market study, we found that 86% of inbound calls into TrustedChoice.com that went to voicemail ended in a hang-up. In another after hours outbound call campaign to over 400 independent agencies performed between 7-9 PM, 94% of calls went to voicemail or were not answered at all. Learn more about our research here. Customers expect a human to answer. If they get voicemail, they hang up and your agency misses out on a chance for a new sale or to active service an existing client when it’s convenient for them. Customized agency profile including a pop-up screen at call center with the agency's profile information, location address, names of staff, office hours etc. View our flyer with detailed service offerings and pricing, or visit www.insureresponse.com/iiaba to register online. Questions? Contact Insure Response at clientrelations@insureresponse.com (866) 466-7891. Are You Using the New RLI Producer Portal? RLI launched a redesigned, enhanced portal last year, offering producers an improved digital experience in a user-friendly, self-service format. If you're a licensed producer for RLI's Personal Umbrella, Surety, Transportation, Home Business or Hawaii Homeowners products, you should have received your invitation already but if not, please reach out to your underwriter. The revamped portal was initiated to update RLI's existing portal technology and create a consistent, end-to-end, service-focused experience for producers. "RLI's new portal is the result of extensive user research and listening closely to customer feedback," says RLI Underwriting Supervisor Tim Flanagan. "Because it is for agents and producers, we asked about their preferences and ideas, then used that information to design a new self-service experience just for them." A modern, clean and simple design and navigation, allowing them to quickly find what they're looking for and take action fast. One point of access to manage their RLI business using a single login. New features like enhanced site search, form and marketing materials, emailing capabilities and other self-service tools that make it faster and easier to complete key tasks. A personal profile with a quick view of the products and agencies producers are authorized to represent. Future enhancements are coming soon! Based on advanced analytics and customer feedback, the RLI team will continue to add product lines and functionality to the portal. Learn more about the RLI personal umbrella at www.iiaba.net/RLI. 1. On this day in 1955, this Dutch-American musician was born in Nijmegen, Netherlands. Name him. 2. According to the RV checklist above, where is the manufacturer's recommended tire pressure decal located? 3. Name three of the most popular business classes for the RLI Home Business Insurance product. TB - On February 16th in Lauchringen, Germany thousands of people turned blue and it wasn't becuase of the cold. Why were they blue? Congratulations to our agent in Massachusetts on a Jewelry Insurance sale of $1,960 in premium!